Editor's Note: Dr. Eric Reeves is professor of English Language and Literature at Smith College in Northampton, Massachusetts. His new book-length study of greater Sudan (Compromising With Evil: An archival history of greater Sudan, 2007 – 2012) is available in eBook format, at no cost: www.CompromisingWithEvil.org. The views and opinions expressed in this post are those of the author and do not necessarily reflect the official policy or position of the Enough Project. 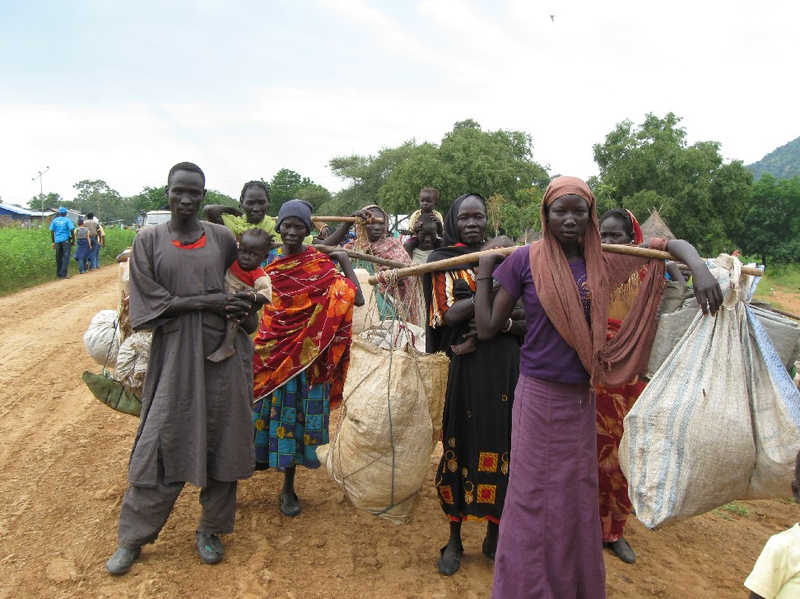 This week I published the fifth update to my original May 6, 2011 report and data spreadsheet on military attacks on civilians and humanitarians in Sudan. Collectively, the reports and data attempt to render as completely as possible all confirmed aerial attacks on civilians and humanitarians working in what is now Sudan and South Sudan—to date the figure is over 2,000. The attacks recorded are all the responsibility of the National Islamic Front/National Congress Party regime in Khartoum, which this year marked its 24th year in power following the June 30, 1989 military coup. The motivation for this schematic history and archival project continues to be the intolerable impunity reflected in Khartoum's sustained, deliberate, and unconstrained aerial attacks on Sudanese civilians and relief workers over many years—this along with the conviction that the profound anonymity of nearly all victims of these attacks is morally unacceptable: they deserve some reckoning, some accounting, some identifiable part in this unspeakably grim history of incidents that together constitute massive crimes against humanity. As I argue, and believe the facts amply demonstrate, such a sustained aerial military strategy—profoundly destructive in its consequences—has no historical precedent or parallel anywhere in the world. The current outrage over atrocities in Syria seems quite uncomprehending—or ignorant—of the much greater, more destructive, and more enduring conflict in Darfur. The particular character of Khartoum's aerial attacks is the subject of the first two sections of my update. The "moral obscenity" of chemical weapons used against civilians in Syria, deplored by U.S. Secretary of State John Kerry and others, can be no more "obscene" than the ongoing, indiscriminate, and often deliberate aerial targeting of civilians and humanitarians. What we have seen in Syria over the past two and a half years pales before the scale of suffering and loss of human life and livelihoods in Darfur over the past decade. International weariness with the conflict cannot diminish its terrible realities. And yet the implicit suggestion by the unctuous Kerry and others seems to be that the significance of a child who dies a terrible death from chemical weapons is greater, more heinous than that of a child eviscerated by bomb shrapnel that leaves her to die a slow, agonizing death. The comparison, even if implicit, is despicably invidious. Geostrategic calculations of national self-interest on the part of the U.S., as well as the nations of the EU, the Arab League, and the African Union have so far ensured that the western part of Sudan has seen no commensurate language of outrage as has been directed against the Syrian regime; this is true even as a number of the attacks reported recorded in my update offer strong evidence of the use of chemical weapons. Such reports have been continually forthcoming from Sudan following an emphatic finding by Doctors Without Borders/Médecins Sans Frontières, or MSF, in South Sudan in 1999. "[E]vidence has been found and serious allegations have been made that weapons of internationally prohibited nature are regularly employed against the civilian population, such as cluster bombs and bombs with "chemical contents." But even without the use of chemical weapons—and there is much evidence that chemical weapons have been used recently in bombs dropped in Darfur—Khartoum's ongoing, indiscriminate, and large-scale of attacks on civilians constitute unambiguous crimes against humanity, as defined by the Rome Statute that is the basis for the International Criminal Court (see pp. 19 – 20 of the original report). Again, to date there have been more than 2,000 confirmed aerial attacks on civilian and humanitarian targets in greater Sudan since 1999 (see the data spreadsheet that accompanies the report; it does not yet include data from the current updates, the next of which will focus on South Kordofan and Blue Nile). These, in all likelihood, represent only a small fraction of the attacks that have occurred during this period. And yet they continue relentlessly because the world does not regard their victims as worthy of sustained international pressure on the Khartoum regime that orders these attacks. Of such inaction, history will be unforgiving. Read and download Eric Reeve's full report.